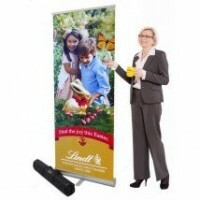 Size does matter so go for maximum impact with Jumbo Banner Stand. 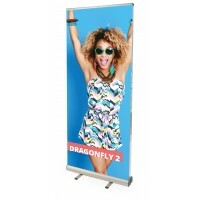 Available in 6 widths this double banner stand is just perfect for grabbing attention at marketing events including trade shows, conferences or exhibitions when you need to promote effectively. 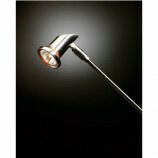 Our 2400mm is ideal as a backdrop within large retail spaces such as showrooms for extra marketing. Now you can relay your brand or business message more clearly with a generous stand display area of either 800mm, 1000mm, 1200mm, 1500mm, 2000mm, 2400mm. 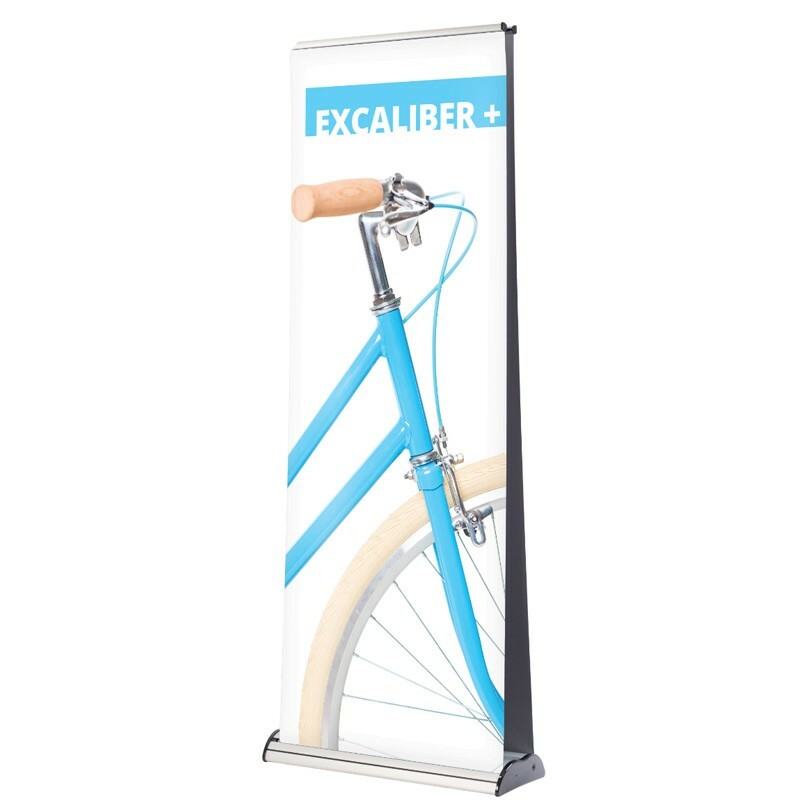 Boasting a sleek yet sturdy construction with adjustable feet to ensure stability and with a speedy graphic release mechanism, this stand is perfect for busy environments when you need reliable yet smart looking display equipment. Supplied with a handy transportation bag, this stand is great for storage and transit to temporary venues. 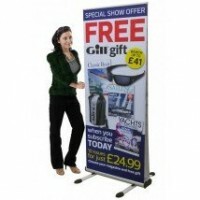 Working with you, our design team can create the perfect banner design for your promotional showcase too. 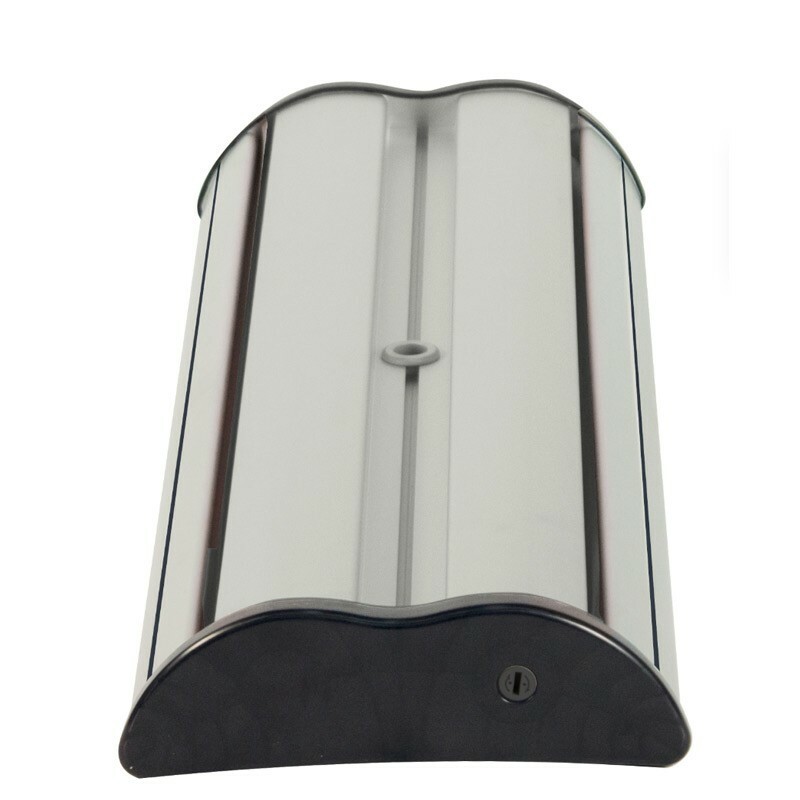 And don’t forget to also purchase our 35 watt display panel light, ensuring your banner stand is never put in the shade. Find out how to assemble a double sided banner stand in the video below.